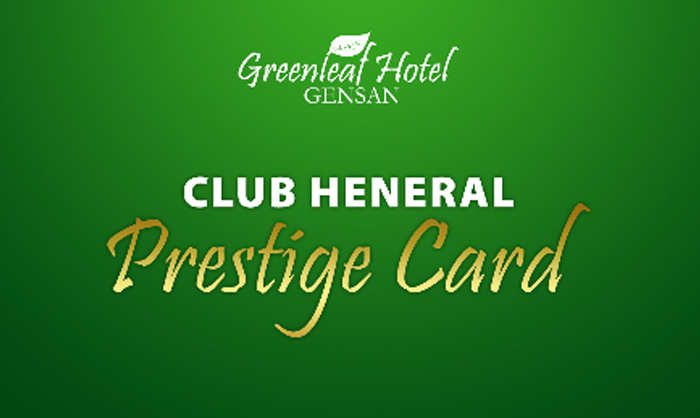 Greenleaf Hotel offers exclusive hotel accommodation and dining deals to Club Heneral members. Get 40% off on rooms, 30% off on food, and many other deals that are offered only to holders of the Club Heneral Prestige Card. Be sure to ask the concierge about how to become a member so you can enjoy an even more intimate side of Greenleaf. If you are planning on staying with us in the coming weeks, you can book your stay by getting in touch with us through the contact details listed on this page. If you would like to reserve any of our venues or restaurants for an upcoming function, birthday party, anniversary or special event, please call or email us and we will be happy to assist you with all your event needs right away. We like making our Club Heneral members feel even more special so let us take care of the planning while you sit back and enjoy the fruits of your event. Just tell us when.